The Baptist Story is a narrative history spanning over four centuries of a diverse group of people living among distinct cultures on separate continents while finding their identity in Christ and expressing their faith as Baptists. 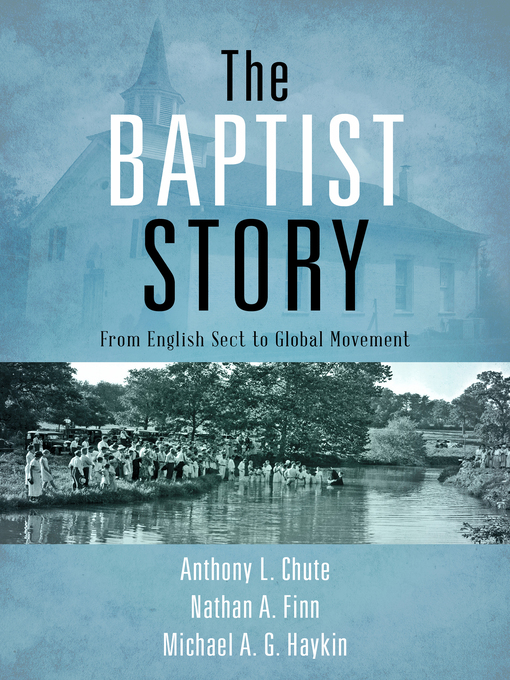 Baptist historians Anthony Chute, Nathan Finn, and Michael Haykin highlight the Baptist transition from a despised sect to a movement of global influence. Each chapter includes stories of people who made this history so fascinating. Although the emphasis is on the English-speaking world, The Baptist Story integrates stories of non-English-speaking Baptists, ethnic minorities, women, and minority theological traditions, all within the context of historic, orthodox Christianity. This volume provides more than just the essential events and necessary names to convey the grand history. It also addresses questions that students of Baptist history frequently ask, includes prayers and hymns of those who experienced hope and heartbreak, and directs the reader's attention to the mission of the church as a whole. Written with an irenic tone and illustrated with photographs in every chapter, The Baptist Story is ideally suited for graduate and undergraduate courses, as well as group study in the local church. (Pictures are not available in the eBook version).